The Brewtown Rumble wouldn’t be possible without the time and commitment of volunteers like you. Whether you ride motorcycles, enjoy volunteering, or simply wish to support the BUILD MOTO Mentor program, we have a spot for you. No motorcycle experience required! 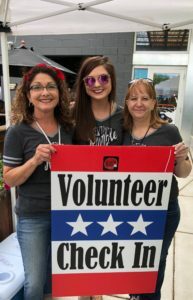 Volunteer shifts typically last 2 hours and include various responsibilities, from event set up and bike show assistance to traffic direction, logistics, and clean up. All volunteers will receive a commemorative Brewtown Rumble shirt as a thank you for sharing your time. Interested? Register here or contact our Volunteer Coordinators at volunteerbrewtownrumble@gmail.com.